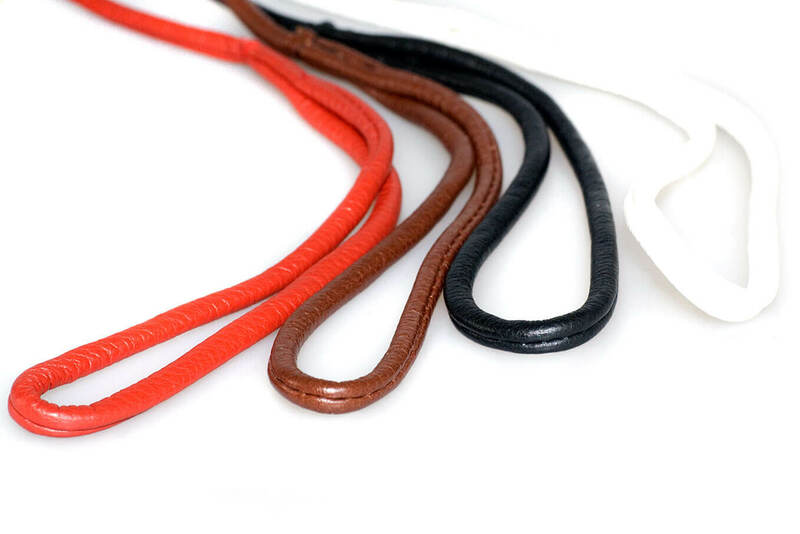 Premium quality soft leather show lead - 1.0 m / 40"
The ultimate show lead made from incredibly soft nappa leather with unique inside stitching making this dog lead very strong, lightweight and comfortable in your hands and will not stretch or break. No visible outside seam helps preserve coat on long coated breeds. 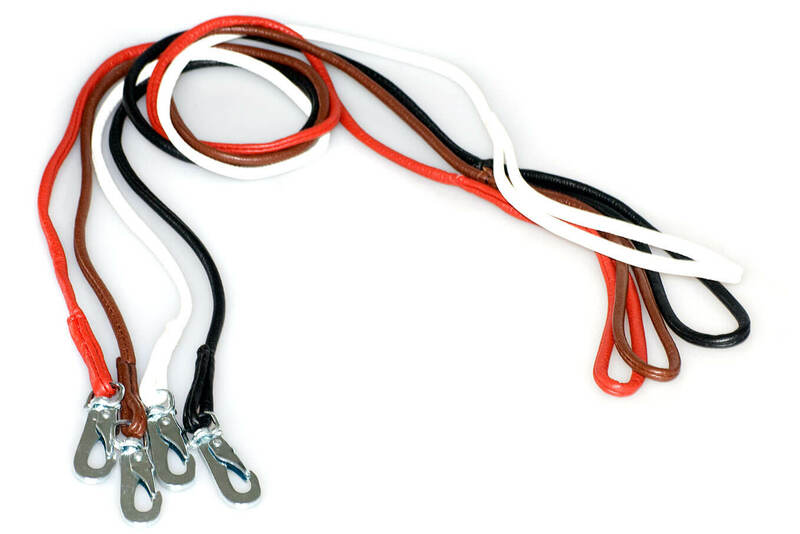 Dog Moda's leather show leads feature a miniature version of our usual Swedish trigger hooks that are used by husky sledge teams and climbers. 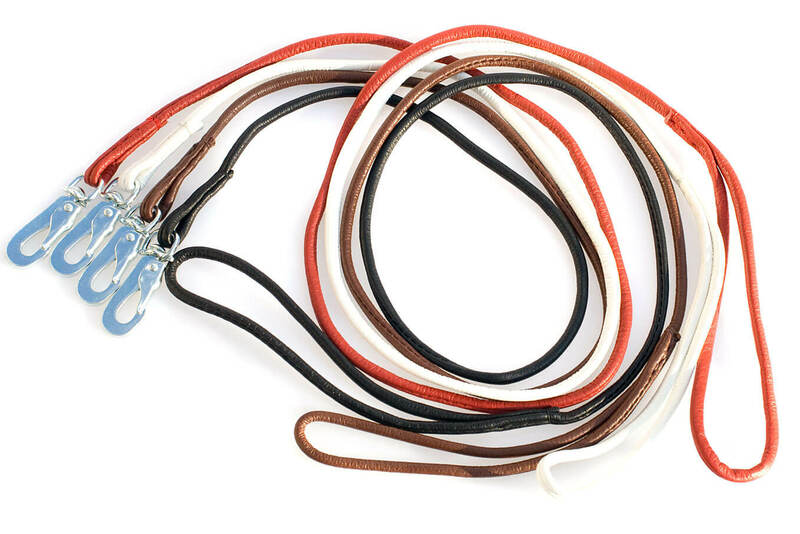 These trigger hooks are regarded as the safest on the market, can be easily attached to your dog's show collar using one hand, but will not open accidentally nor get caught and tangled in long fine coats. These premium show leads look particularly well with our ribbon martingale collars and are available in a great choice of styles and widths to suit every taste. Available in black, brown, red and white. 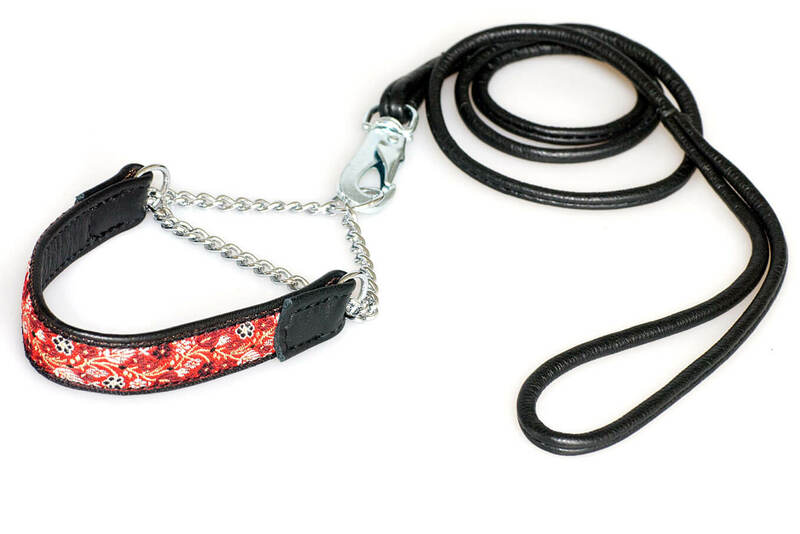 Need help choosing correct dog show lead and collar? 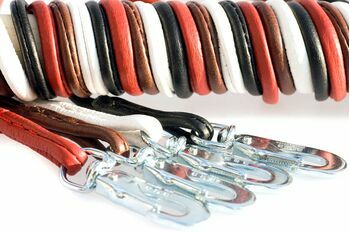 Please do not hesitate to call +44 (0) 20 3582 4532 or write to us if you need help in choosing show lead and collar for your hounds. We are here to help!